Lasers systems are complex devices and require regular maintenance for them to run efficiently. 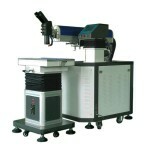 GC Custom Electronics is the leading laser machine repair provider in Winnipeg. For quality and cost-effective laser machine repair services, contact us today. The laser industry is growing fast and GC Custom Electronics is at the forefront when it comes to servicing the laser equipments. Our technicians are skilled at repairing your laser with minimal downtime. What Causes Laser Machines To Become Faulty? Many times the laser machines operate perfectly one day and down the next. This is mainly because many of the lasers used today deliver very high treatment energies. So, there is a ‘wear-out’ associated with these laser components that require service at some point in their life. Overheating, over-current or degraded optics can cause damage to these devices. For their cooling systems to run in the best of conditions, it is important to clean radiators, keep cooling water conditioned and replace appropriate filters. An inspection of all optics is necessary to prevent reduced output and pressure on the power supplies. This is where we step in! Our staff of technicians have years of experience under their belt in repairing these laser platforms. They will also explain any and all faults and operational problems encountered with your equipment. We believe that making our clients aware is an important step in preventing future failures. Our repair services ensure that your laser investment remains operating and generating revenues for as long as possible. Getting a professional repair is necessary for the laser owner/operator to avoid wastage of money and time down the lane. Many problems can be corrected before they end up causing you to replace the entire machinery. At GC Custom Electronics, you will have the expertise, the knowledge and the enthusiasm of professionals who will become part of your investment – your laser machinery. We offer all sorts of packages from servicing of machines in-house to on-site repairs. Even the equipments designed and built to extremely high standards and carry comprehensive warranties can wear out causing you frustrations. Our promise of a laser machine repair solution means a complete solution. We understand that no two companies are unique. We are happy to discuss available solutions with each client. Is your laser machine giving you problems? No worries. Call our professionals today.